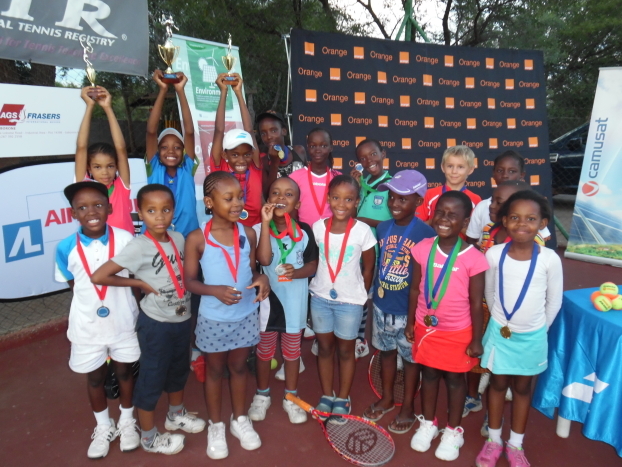 AGS Frasers Botswana recently co-sponsored the Babolat Tennis Series in Francistown, featuring young tennis players between 4 and 12 years old. AGS Movers Botswana recently co-sponsored the Babolat Tennis Series in Francistown, featuring young tennis players between 4 and 12 years old. The annual tournament was organized by the Francistown School of Tennis, and adopted ‘evolutive tennis’ as a means to adapt the game to its young players’ size and physical abilities. On April 8, AGS Frasers Botswana was also proud to sponsor a high-profile qualifying round in Gaborone for the Duke of Edinburgh Golf Tournament World Finals (to be hosted in London in October). The event has been extremely effective in raising funds for 11 charities in Botswana.